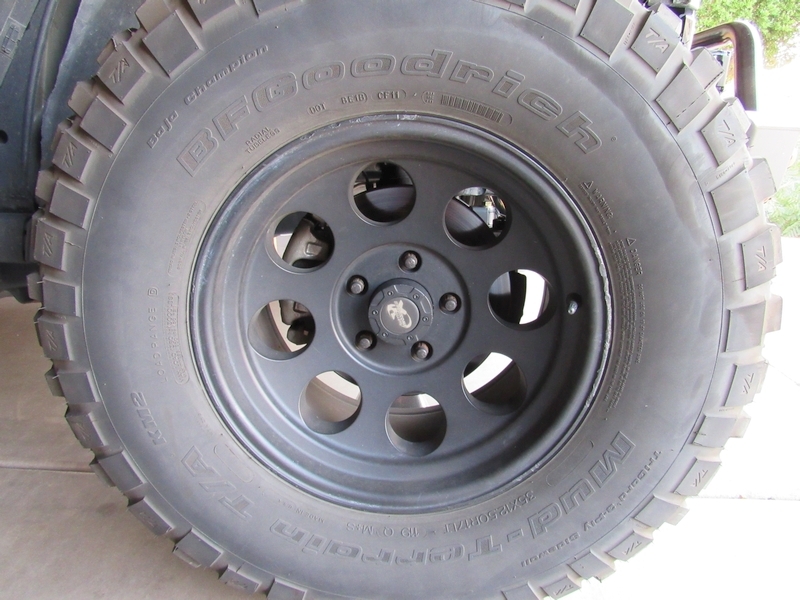 When it comes to Jeep upgrades, brakes are often very low on the list of priorities. 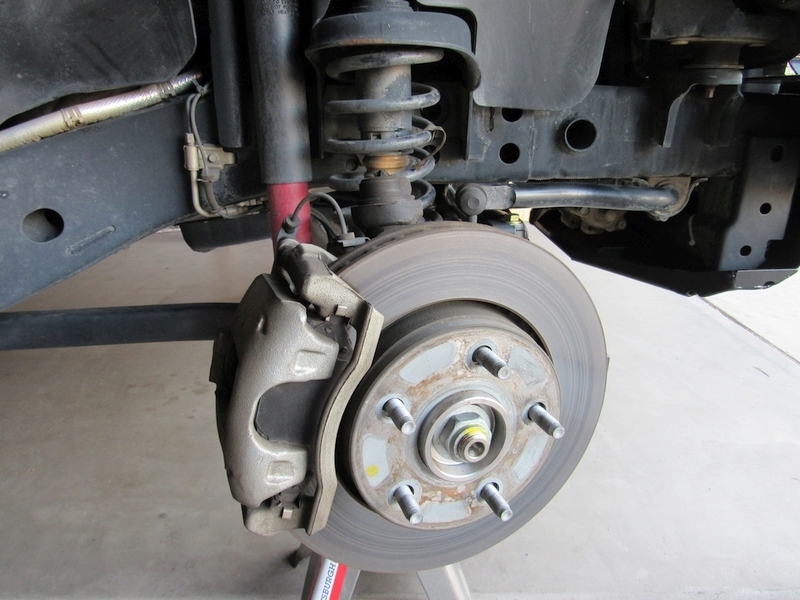 After upgrading wheels and installing larger 35″ tires, your stock brakes will have a very difficult time stopping your vehicle, both on the road and especially while negotiating thru an obstacle while offroading. 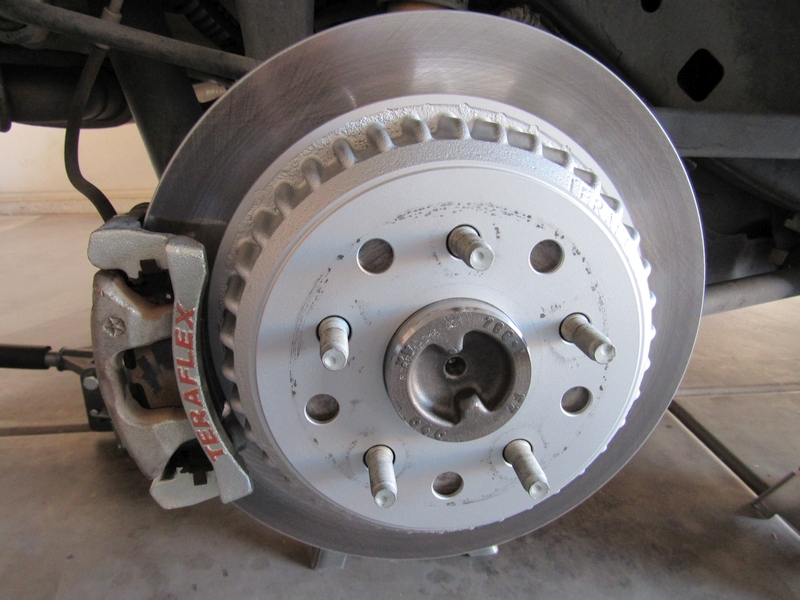 When you increase the size and weight of your tires, you should really think about upgrading your brakes as well. It will improve your confidence while driving and just might help you avoid a collision or an accident. 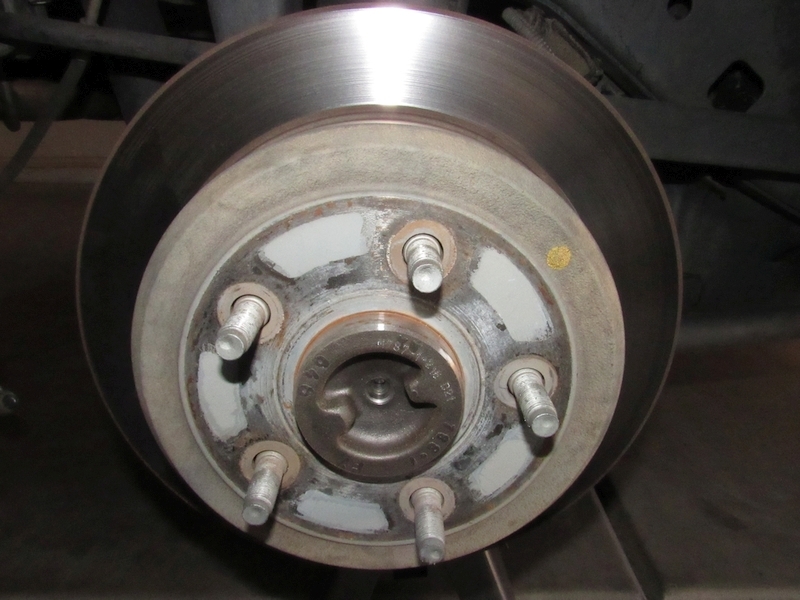 New, upgraded brakes are not cheap, however knowing that your braking power has been increased and stopping distance has been reduced is definitely worth the investment. There are few options when it comes to aftermarket brake kits, which include new rotors, anchor brackets, calipers and brake pads. 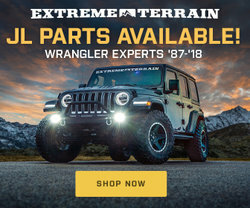 Most popular options are Teraflex brake kits, Crown Automotive brake kits, Power Stop brake kits and Dynatrac brake kits. You can find kits with rotors and brackets only or kits with rotors, brackets and calipers included. 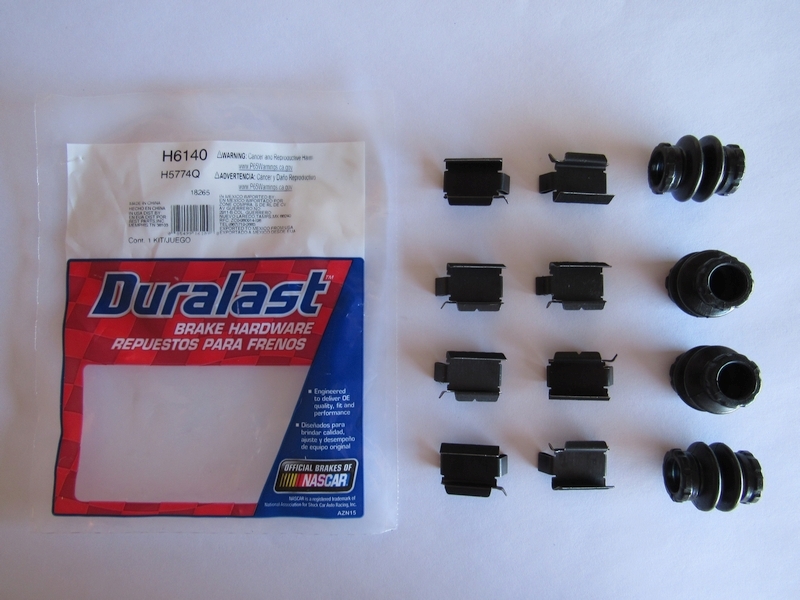 New brake pads sometimes are included with the kit, or you can purchase your favorite brand of brake pads separately. 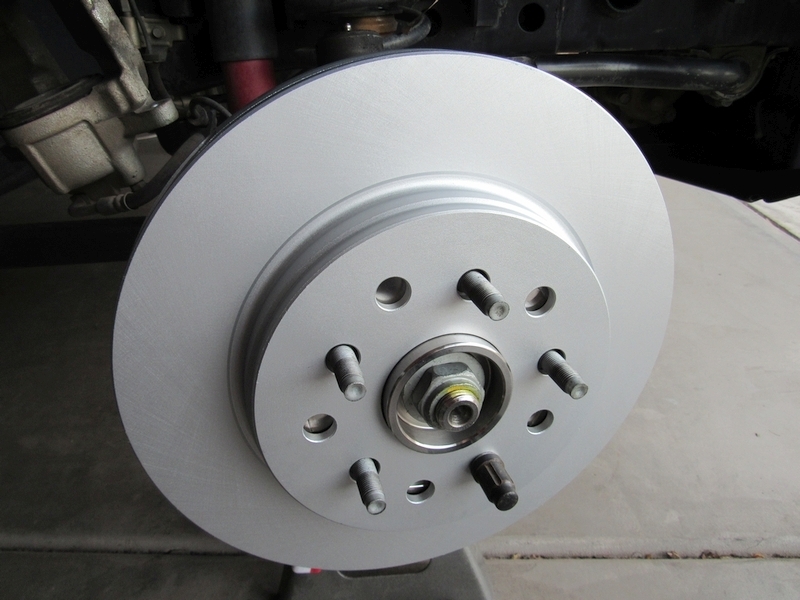 When it comes to rotors, you can find kits with standard vented rotors, slotted rotors, or drilled and slotted rotors. Your decision comes down to preference, your driving conditions and of course your budget. After a lot of internet browsing and research, I decided to go with Teraflex Performance Big Rotor Kit for both front and rear wheels. 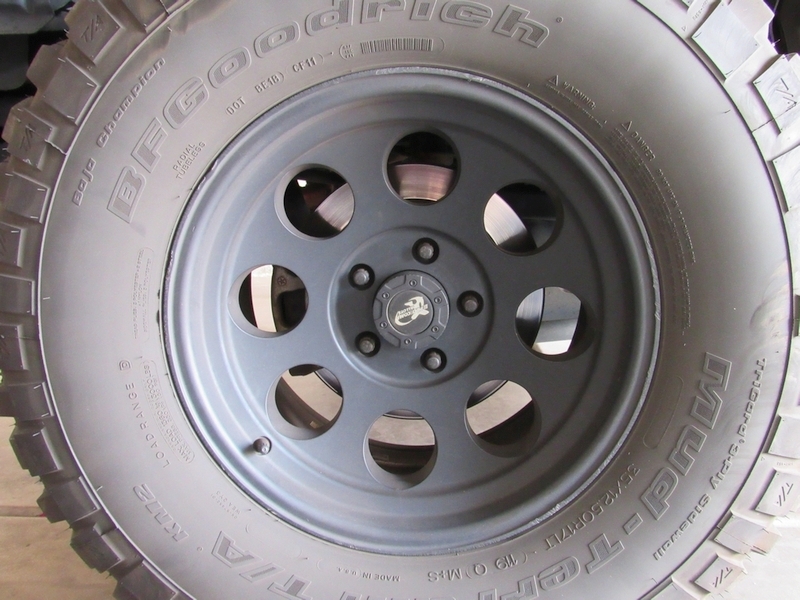 I selected standard vented rotors (I believe smooth rotor surface is the best option for a combination of daily driving and weekend offroading, conventional rotors provide highest mass which improves cooling, and with no slots I don’t have to worry about mud collecting there and damaging brake pads prematurely), with included larger anchor brackets which allow for use of the stock calipers and brake pads. After reading reviews on the Teraflex Big Brake Kit, I decided that I don’t want to switch to a two piston caliper and affect the brake pedal feel, as well as possibly having to replace master cylinder. 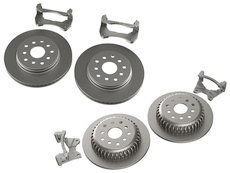 The TeraFlex JK/JKU Front Performance Big Rotor Kit includes larger 13.3″ (338mm) rotors for improved stopping performance – stock is 11.9″ (302mm), and larger brake caliper relocating anchor brackets. 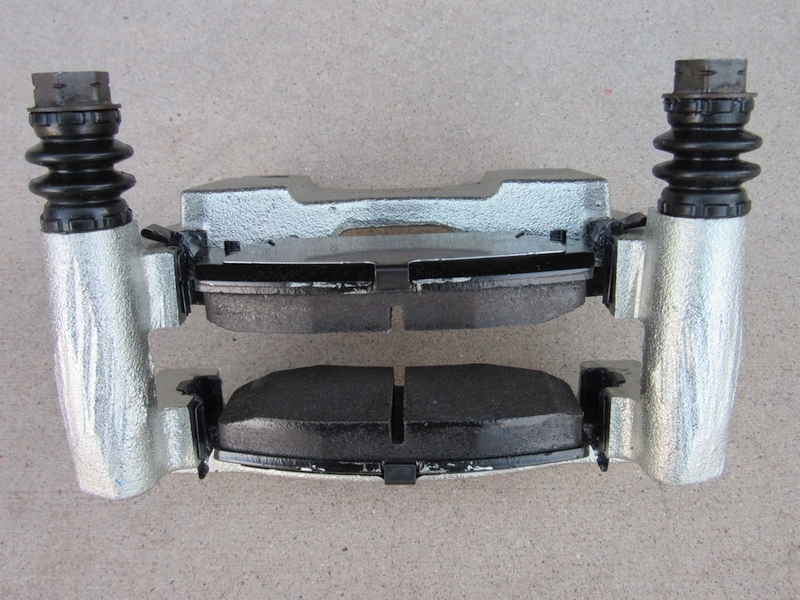 It retains factory brake calipers & brake pads. Rear Performance Big Rotor Kit includes larger 13.5″ (343mm) machined rotors and larger brake caliper relocating anchor brackets, also retaining factory brake calipers & pads. 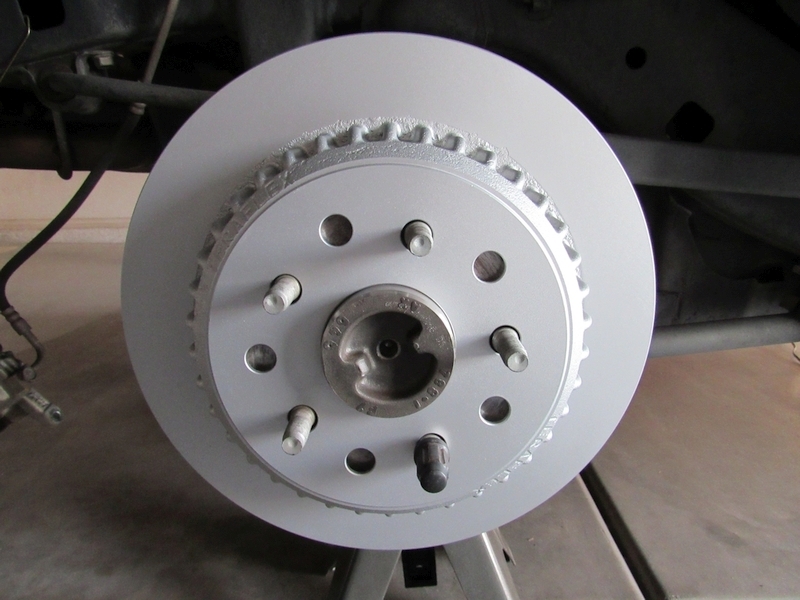 When installing the Big Rotor Kit there is no need to disconnect the calipers from brake lines therefore you don’t have to bleed the brakes if you don’t want to. The way this kit works is pretty clever. Moving the location of the caliper outward just a bit accommodates the larger diameter rotor which allows for more efficient heat dissipation and better mechanical advantage in stopping. The increased clamping distance from the rotor center results in greater braking leverage to allow stopping distance to be decreased. 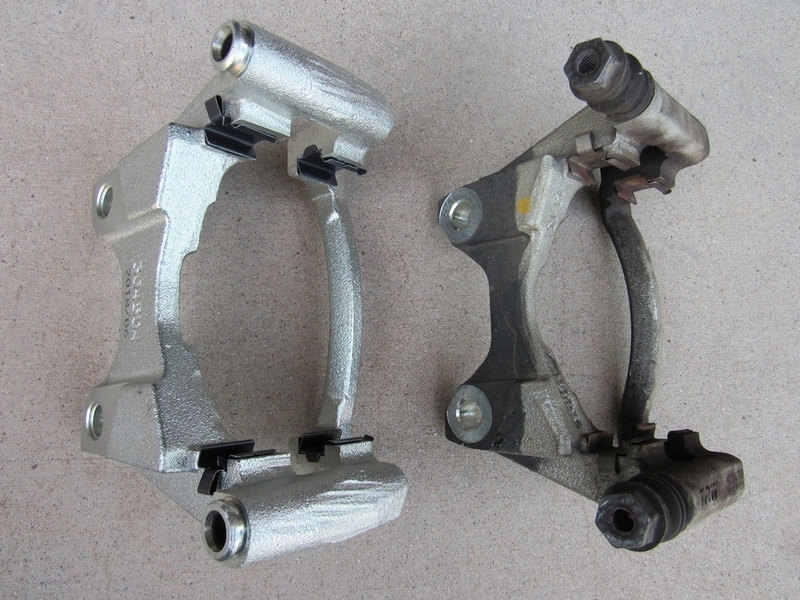 It is however worth noting that neither the caliper clamping force nor the pad-to-rotor contact area are increased (as they are with the complete Big Brake Kit). I take no responsibility for any injury or breakage which might occur if you decide to follow these steps. You have to decide if you’re comfortable working on your Jeep. If you’re not, please have a professional complete this project for you. Prepare your tools and get everything ready before you start the project. Park on an even surface and chock the rear wheels. Lift the front axle and rest it on at least two jack stands. Remove both wheels. Turn the steering wheel to one side to gain better access to the caliper and bracket bolts. Clean the outside of brake fluid master cylinder. Remove the cap and put it in a safe place. 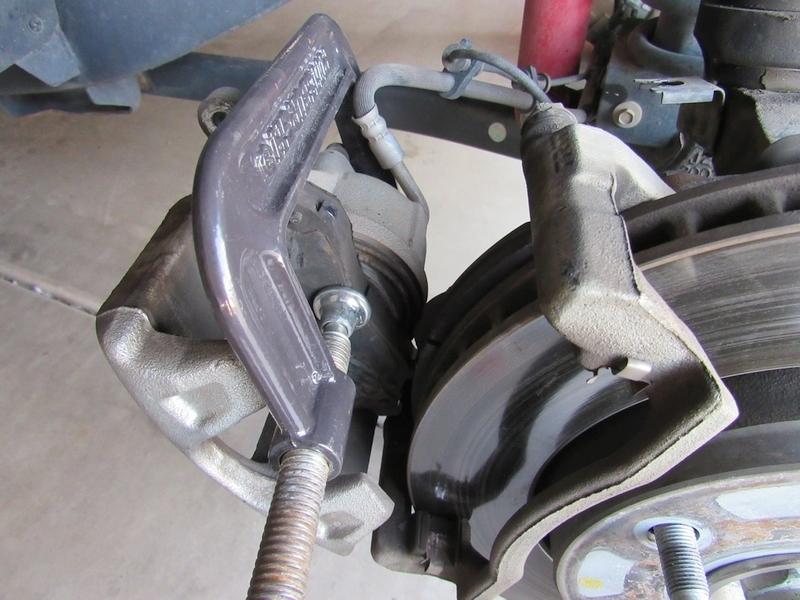 Place a pry bar or a large screwdriver between the outside wall of the caliper and the outside brake pad. Use the pry bar to gently push the piston back into the bore as far as you can (the master cylinder cap was removed to relieve pressure since you’re now pushing the brake fluid back up the lines). Remove the upper caliper bolt using a 13mm or 1/2″ wrench or socket. Hold the guide/slider pin with thin 15mm wrench to prevent it from spinning. Release the ABS line from bracket to give it some slack. You can use a large C-clamp and one of the old brake pads to push the piston all the way back in (you will need this extra space to install brand new brake pads). 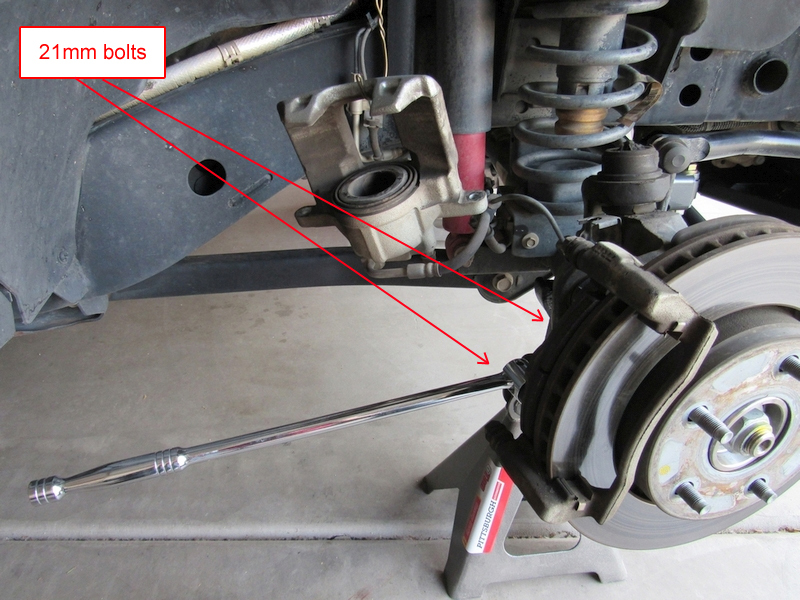 Remove the lower caliper bolt. Hang the caliper securely using a metal wire hanger or bungee cord. Clean and grease the edge of the piston a bit. 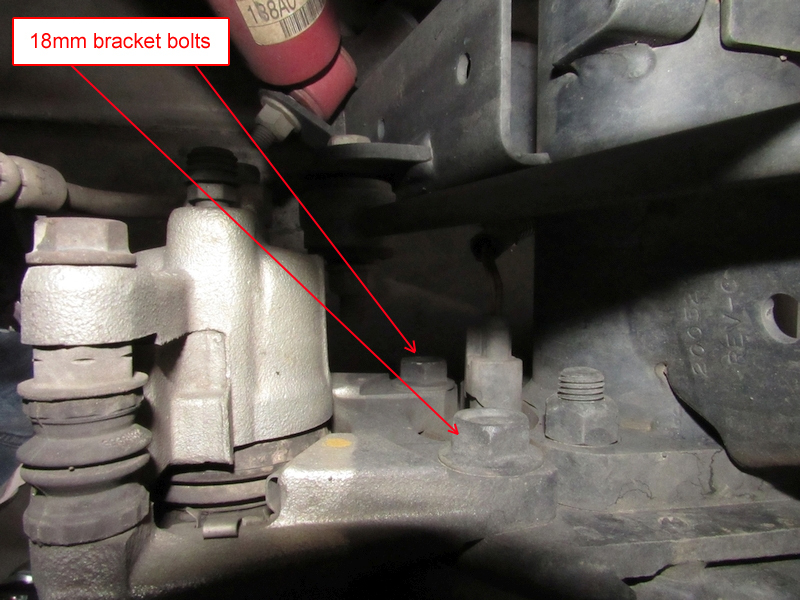 Remove two bracket bolts using a 21mm or 13/16″ socket. Side-by-side view of the stock front anchor bracket and the new, larger Teraflex anchor bracket. You can reuse the stock brake hardware, however I would recommend purchasing a new hardware kit, which comes with all necessary rubber boots and clips (one kit per axle). Install the anti rattle clips into new bracket, paying close attention to their orientation. Put some grease into the slider pin bores, clean the slider pins and grease them as well. Install rubber boots and make sure they are seated correctly. Push the guides/slider pins into bores and verify that they move back and forth freely. Grease the surface of the anti rattle clips a little. Assembling the bracket is much easier on a bench or table than on the wheel. Grease brake pad ears just a little bit as well, to help them slide inside the clips easier. 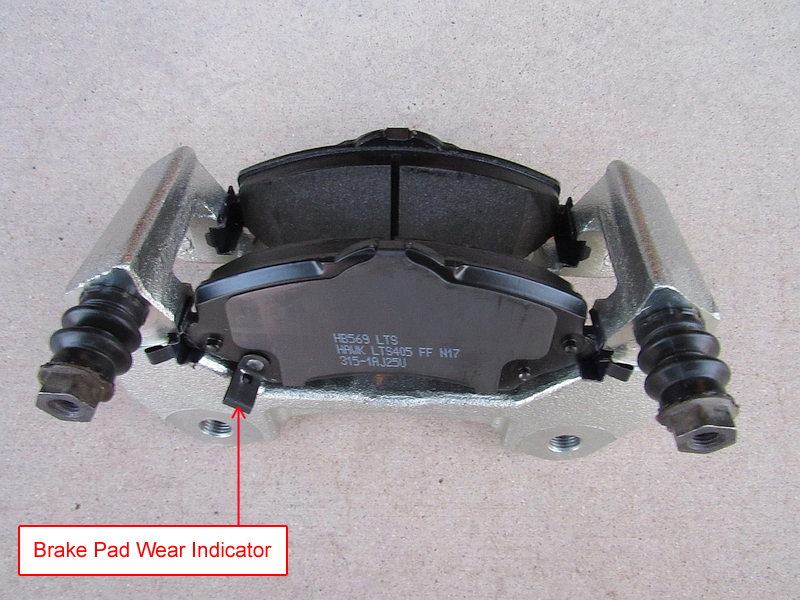 Make sure one of the brake pads on each bracket has the metal tab – wear indicator. Remove the old brake rotor. Clean any rust / oxidation from the wheel, using a wire brush. Install your new brake rotor. Temporarily secure it in place with one of the lug nuts. 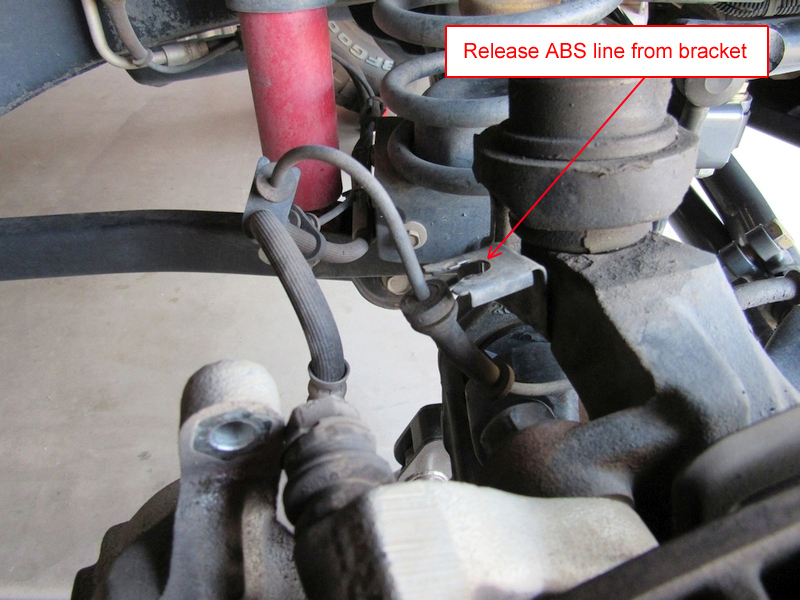 Install your new bracket with brake pads. Make sure you don’t transfer grease onto the surface of brake rotor. Put some blue threadlocker on the bracket bolts, hand tighten first and torque bolts to 110 ft lbs. Install the stock caliper back into place. Torque the caliper bolts to 26 ft lbs. Clip the ABS line back into its bracket. 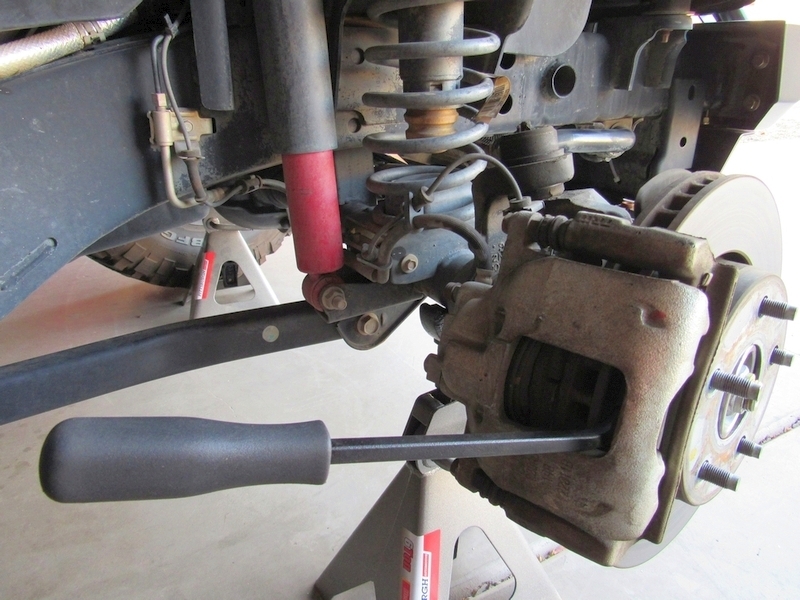 After finishing both sides of the axle, put the wheels back on and lower your Jeep back on the ground. Close the cap on master cylinder. 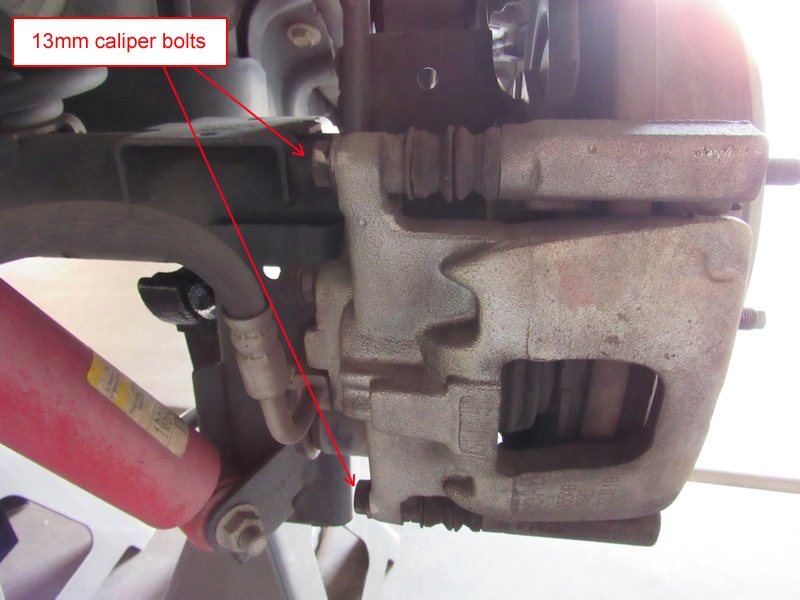 Hop inside your Jeep and with the engine off, pump your brake pedal few times to push the caliper piston firmly against the brake pads, until you feel the pedal firm up again. 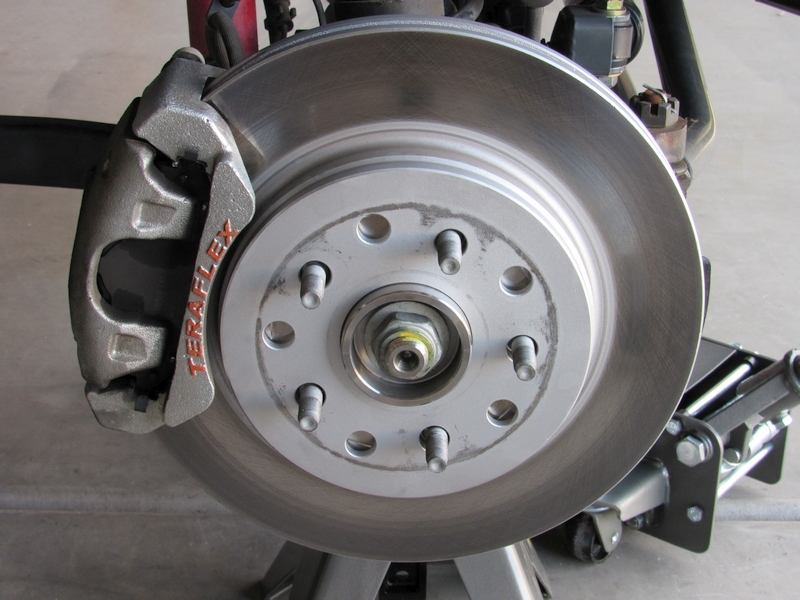 Start the Jeep and begin the bedding-in procedure for your new front brake pads and rotors. For this procedure, you will need a good stretch of road and no traffic. 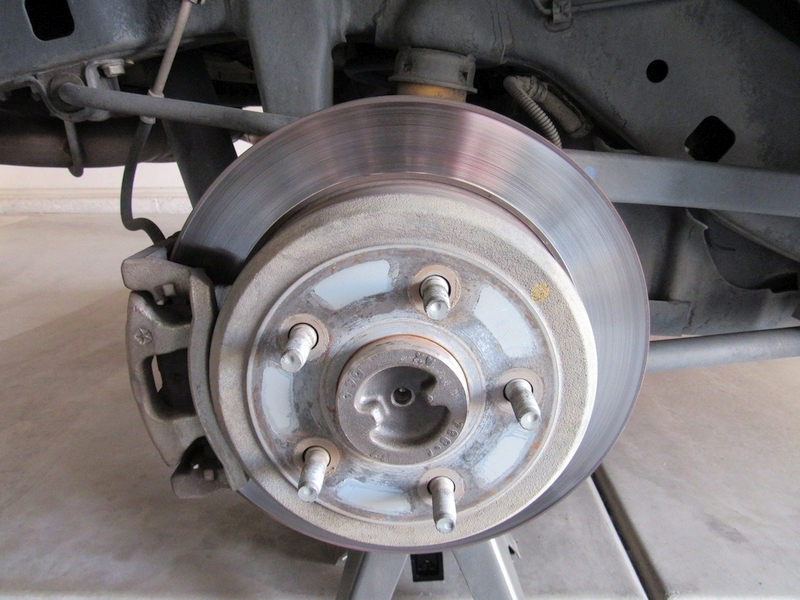 All brake pads must be bedded-in with the rotor they will be used against to maximize brake performance. The bedding-in process involves a gradual build up of heat in the rotors and pad compound. This process will lay down a thin layer of transfer film on to the rotor surface. Following the bed-in procedures provided by the manufacturer will assure a smooth, even layer of transfer film on the rotor and will minimize brake judder. After installing new pads make 6 to 10 stops from approximately 35 mph to 5 mph with moderate pressure. Make an additional two to three hard stops from approximately 45 mph to 10 mph. Do not allow the vehicle to come to a complete stop. 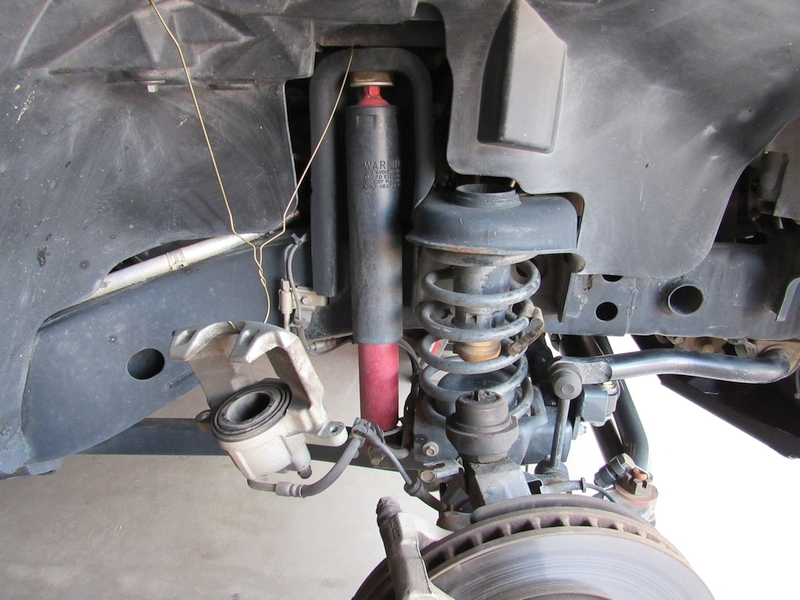 When completed with this process, drive around for few minutes and later park the vehicle and allow the brakes to cool completely before driving on them again. Do not engage the parking brake until after this cooling process is compete. If the front brakes perform correctly, you can now work on the rear wheels. Chock the front wheels. Make sure the emergency brake is NOT on. Lift the rear axle and rest it on at least two jack stands. Remove both wheels. 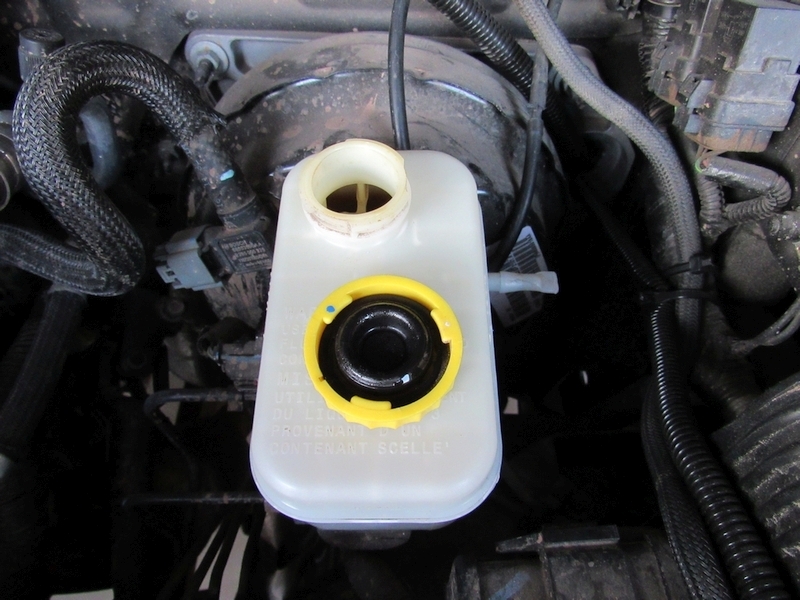 Remove the brake fluid master cylinder cap and put it in a safe place. Use the pry bar again to gently push the caliper piston back into the bore as far as you can. 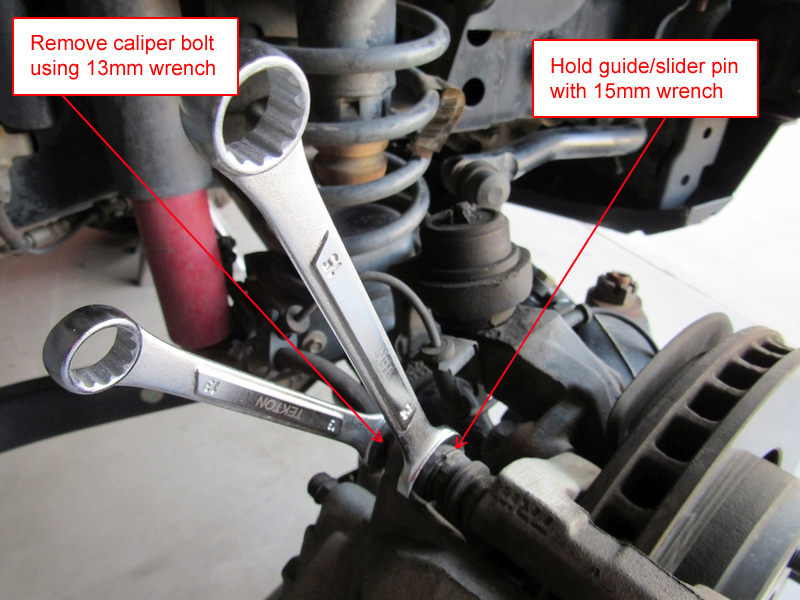 Remove both caliper bolts using a 13mm or 1/2″ wrench or socket. Hold the guide/slider pins with thin 15mm wrench to prevent them from spinning. Hang the caliper securely using a metal wire hanger or bungee cord. Clean and grease the edge of the piston a bit. Remove two bracket bolts using 18mm socket. Side-by-side view of the stock rear anchor bracket and the new, larger Teraflex anchor bracket. Install the anti rattle clips into new bracket, paying close attention to their orientation. Put some grease into the slider pin bores, clean the slider pins and grease them as well. Install rubber boots and make sure they are seated correctly. Push the guides/slider pins into bores and verify that they move back and forth freely. Grease the surface of the anti rattle clips a little. Install new brake pads in the bracket. Grease brake pad ears just a little bit as well, to help them slide inside the clips easier. Again, make sure the e-brake is NOT on. Remove the old brake rotor. Clean any rust / oxidation from the wheel, using a wire brush. 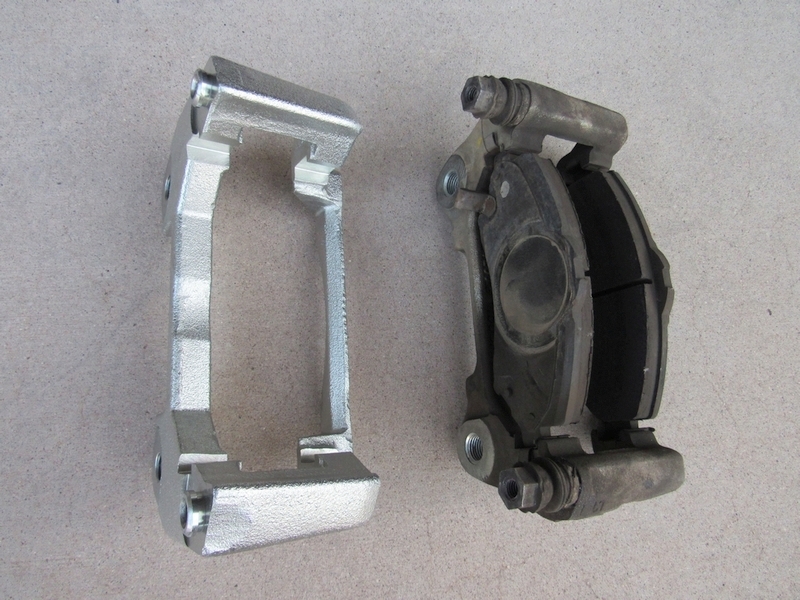 Install your new bracket with brake pads. Make sure you don’t transfer any grease onto the surface of brake rotor (clean with brake cleaner if necessary). Put some blue threadlocker on the bracket bolts, hand tighten first and torque bolts to 55 ft lbs. Install the stock caliper back into place. Torque the caliper bolts to 26 ft lbs. 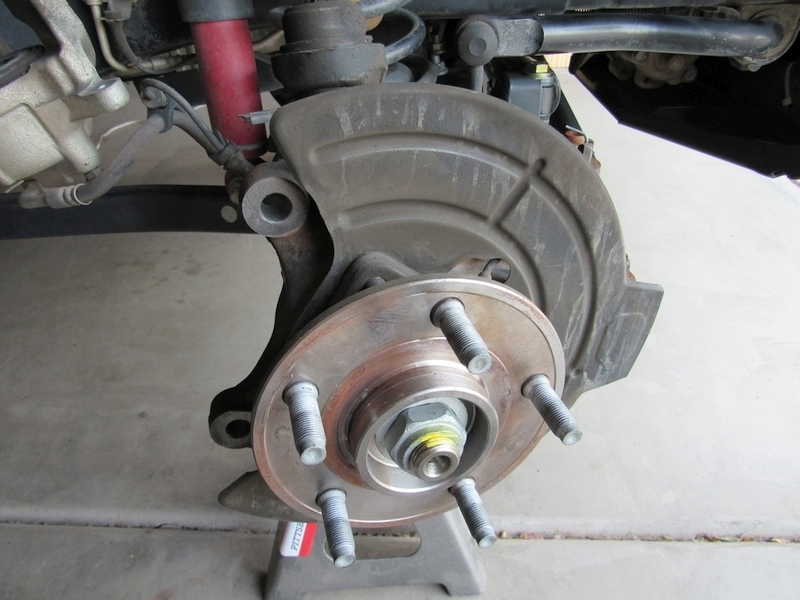 Start the Jeep and begin the bedding-in procedure for your new rear brake pads and rotors. The procedure is the same as with the front brakes. 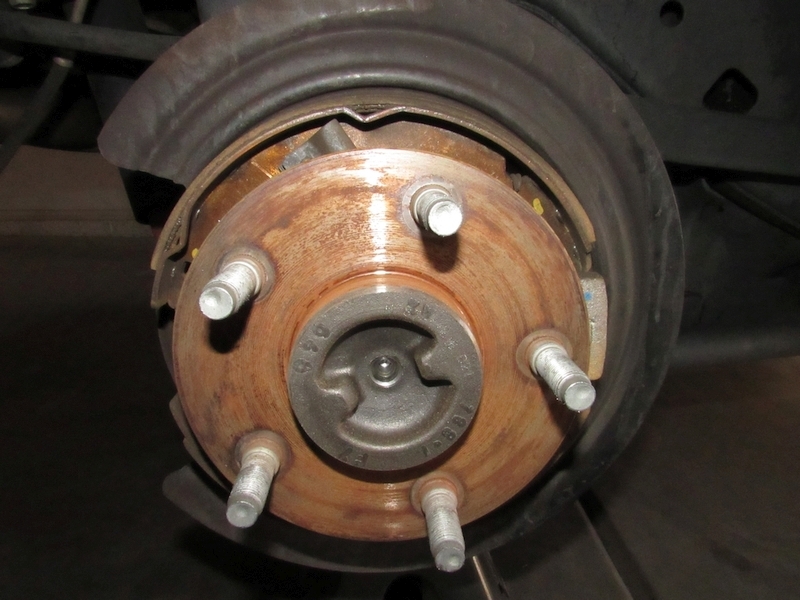 Once you finish the bedding-in process and let the brakes cool off, when you drive again you should notice immediate improvement during braking, especially if you replace brakes on both axles. After about 100 miles you might want to check all the bolts just to make sure everything is as tight as it needs to be. If you have any questions or suggestions, feel free to comment below.